When we introduced hardwoods to the USA catalog back in August 2018, we got great feedback. You loved them! Having the P1 size was a great place to start for smaller products such as electronics project boxes and jewelry, but not having any larger dimensions was a bit of a bummer and cramped some of that making style for grand designs. Problem solved. 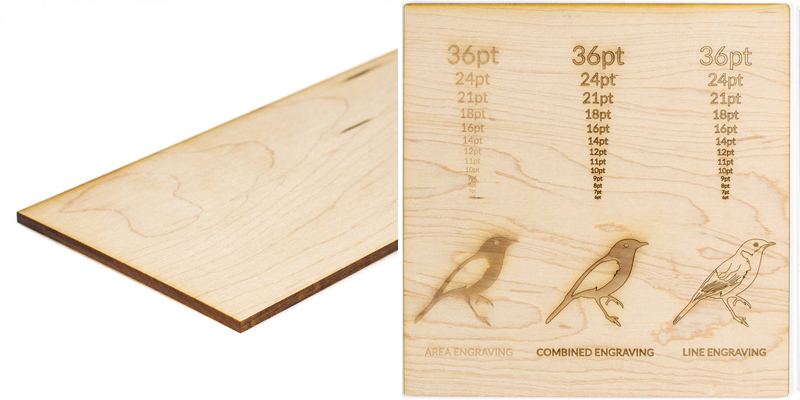 With the introduction of 24” x 12” sheets in the original 1/8” thickness as well as a new 1/4” thickness for all three hardwoods—maple, red oak and walnut—you can start dreaming big for that next laser cutter project. 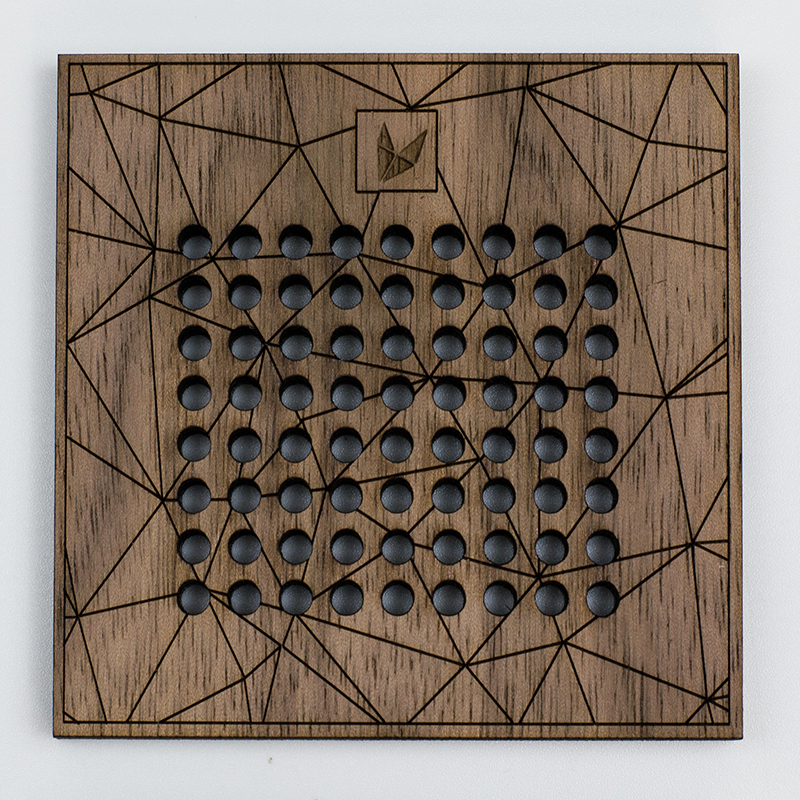 This example in red oak has laser cut holes on the front and a pattern vector line engraved on the top. Note how the edges of the red oak darkens upon cutting, give it a substantial “outline” on the perimeter. Who says the holes on the front panel must be in a square grid? Break all the rules and create a design that speaks to you. 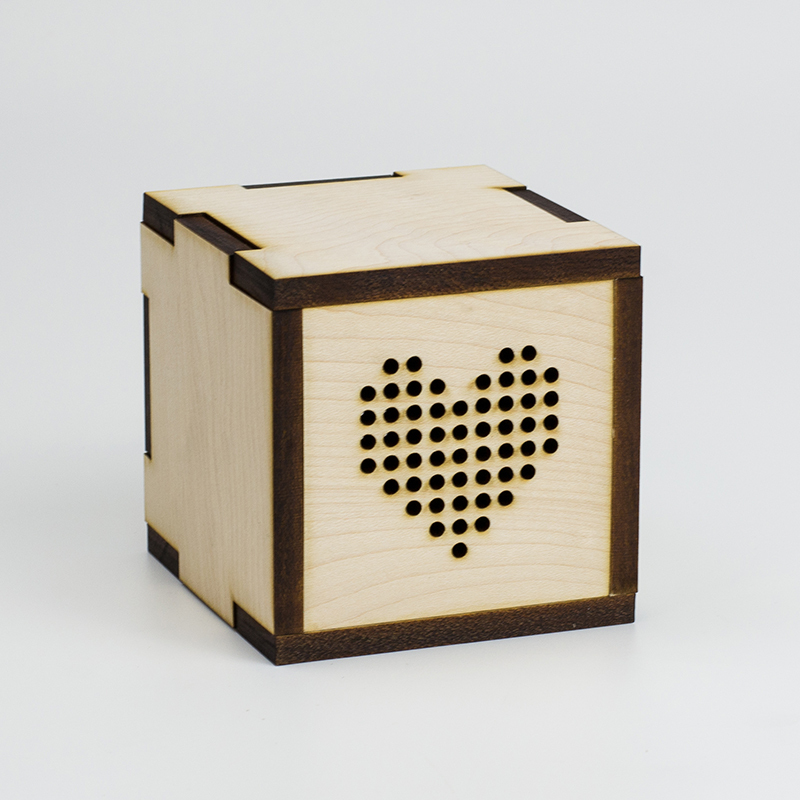 We chose a heart for this example in maple. Makes our heart beat faster, babe, kinda like a big bass drum. 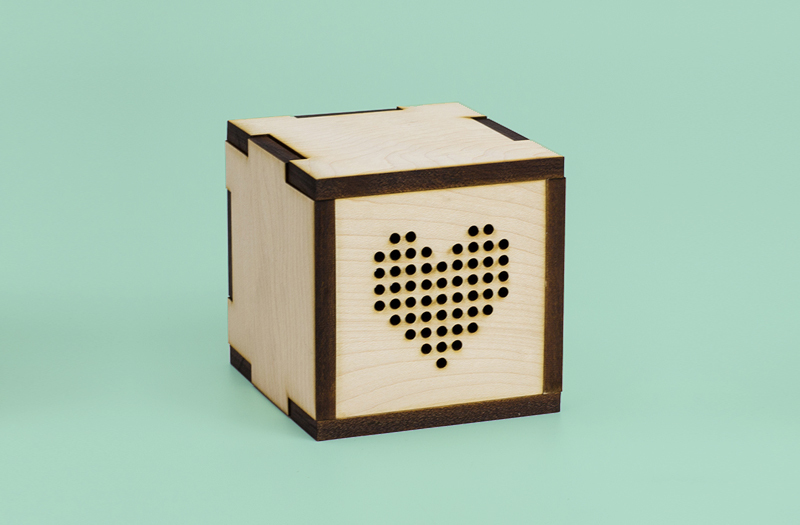 Not all speaker designs are 100% laser cut cubes. Sometimes all you need is a decorative panel to complete the look, such as the ones Aleksey Bochkovsky used to transform vintage suitcases into custom boomboxes. Here’s an example in red oak. 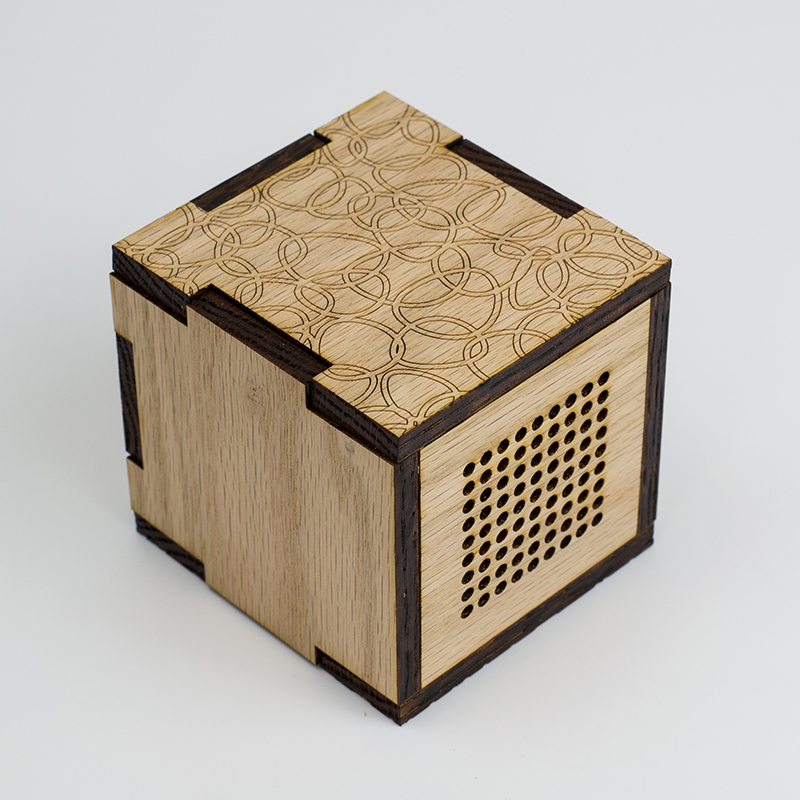 To get a sense of what the speaker boxes look like pre-assembly, check out this flat-lay using walnut. Here’s a close-up of the front panel. Not only does this example have the traditional holes, but it also includes a line-engraved design for additional interest. Inside the square you can see the area engraving has less contrast. 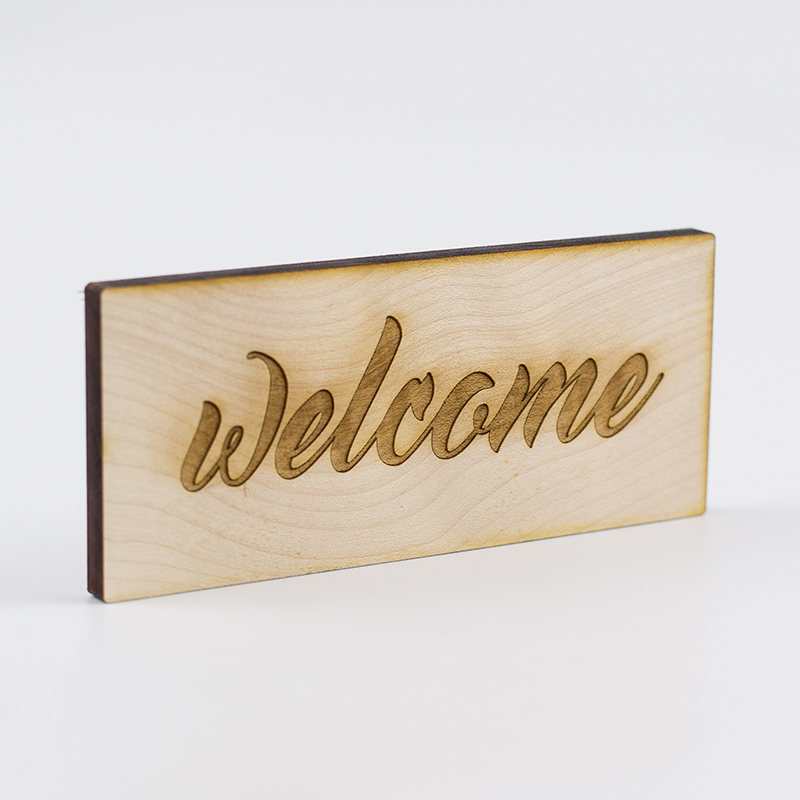 Hardwood is popular for signage because of how durable it is. The new thicker version is more substantial looking (making it more appealing than the thinner sheet), and the availability of larger sheets means you can make an even bigger statement when hanging your shingle. This example in maple shows how area engraving looks with a script typestyle. 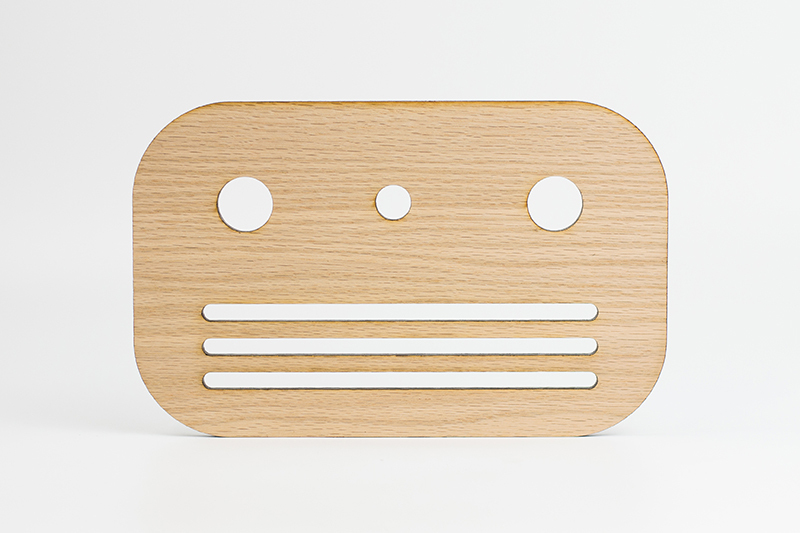 For comparison, here’s the same design in maple. Notice not only the difference in grain patterns but also the lighter color of wood and the golden hue of the area engraving. 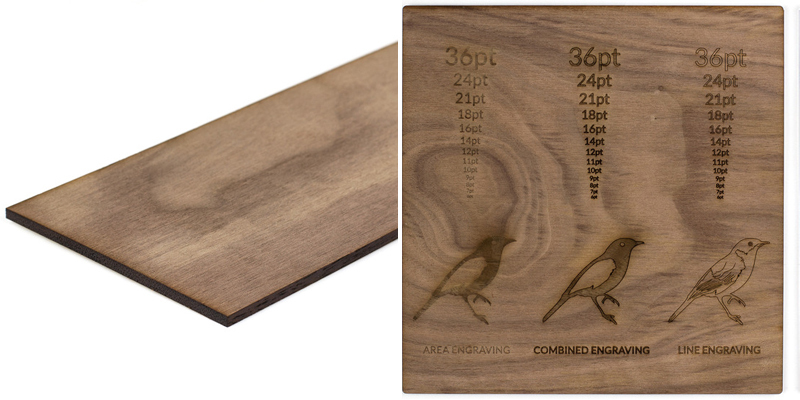 This walnut example shows the deep, natural color of this grain combined with a laser-engraved, sans-serif typestyle in two thicknesses. 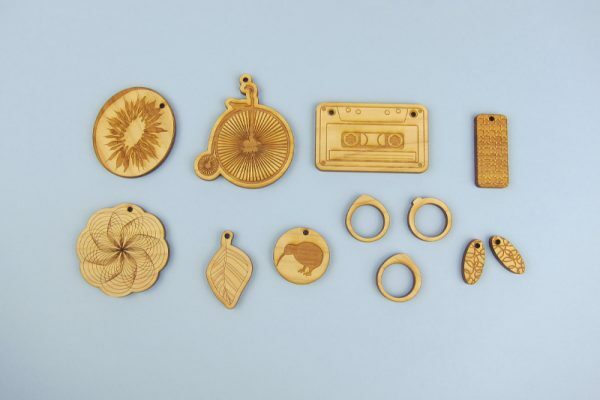 Unique, durable and beautiful products are made with hardwood. Because of the natural grain patterns, no two hardwoods will be the same. The result: gorgeous, one-of-a-kind products. 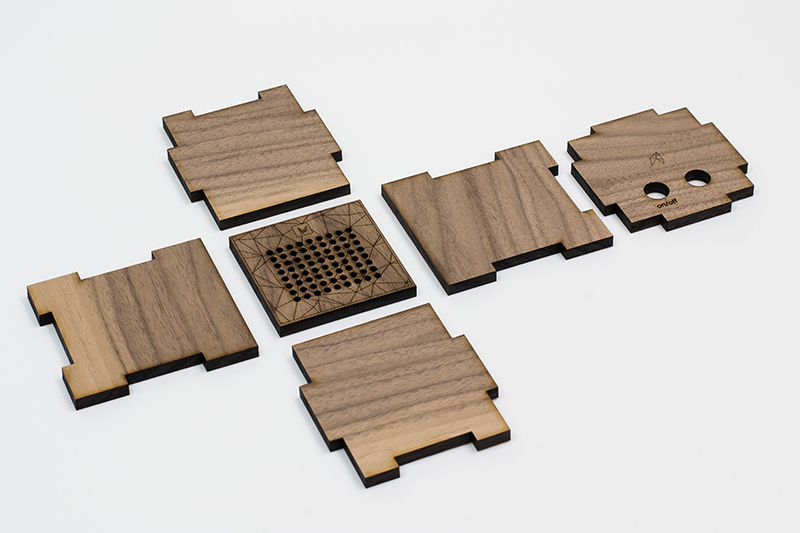 If you want to tap into the pure beauty of wood, walnut is the way to go. It’s unique in that it is one of the only woods that’s naturally rich, deep chocolate brown without any stain. 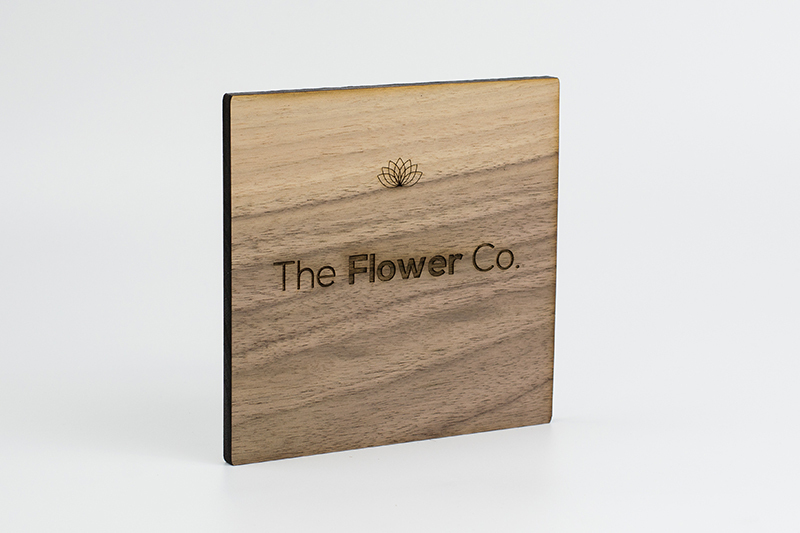 Maker Tips: The natural grain of wood is beautiful, but being so natural we recommend using both line and area engraving to ensure whatever is engraved has good visibility and stands out. Grain will vary more on these materials than any of other woods in the materials catalog because they haven’t been as processed, so you’ll want to design accordingly. Additionally, since hardwood is a natural material, it can be prone to warping. 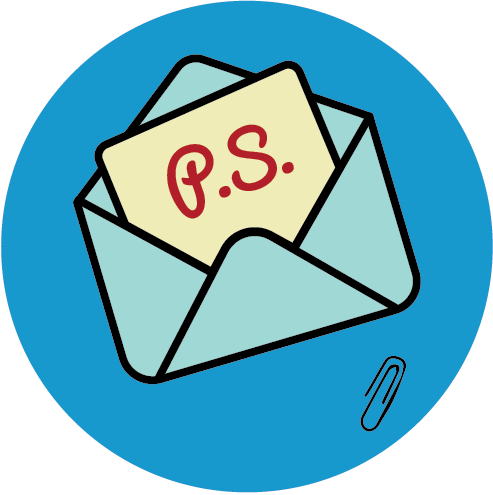 If your design can fit on the smaller sheet size, use that option. Why does warping matter? It makes cuts less precise because the laser looses focus. 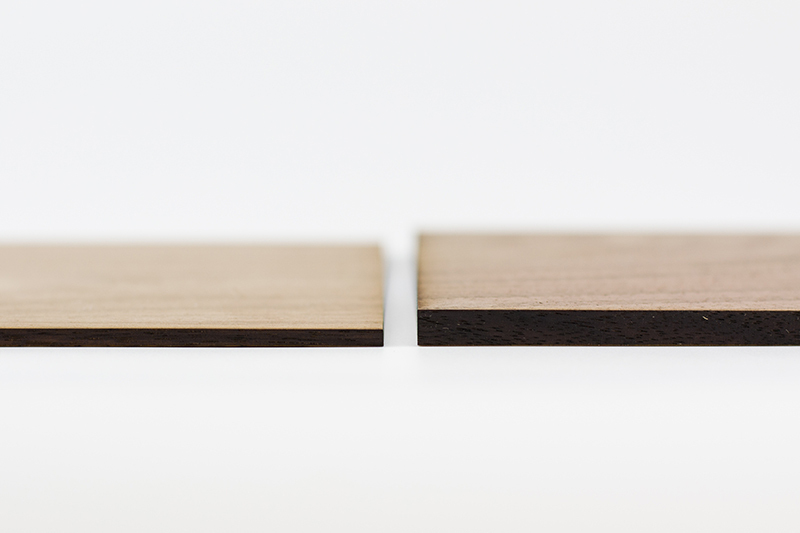 The cut line (kerf) will be thicker and more burnt on warped materials. Check out this post for more details. 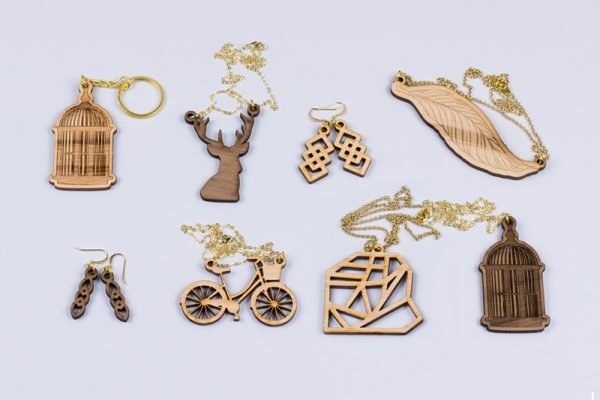 What Will You Laser Cut With New Hardwoods? With the larger sheets of thicker hardwood added to the USA materials lineup, what will you make? Will you try your hand at electronics enclosure or signage like we did, or will you branch out into something else? 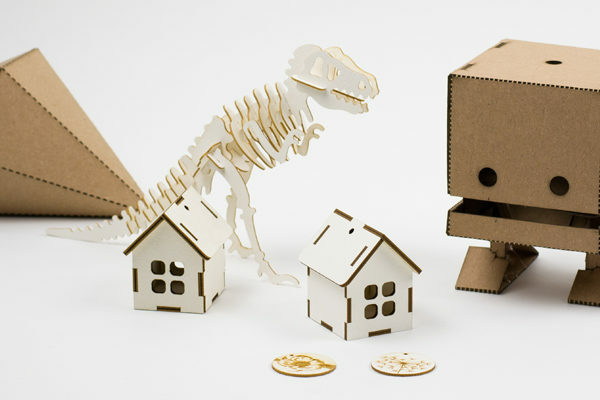 Jump into Adobe Illustrator or Inkscape and turn your inspiration into tangible ideas.